What Does a BMI of 26 Mean? Your weight is a good indicator of your health. If you maintain a healthy weight throughout most of your life, you may be able to reduce your risk of a chronic illness such as heart disease. Body mass index, or BMI, is a tool that helps determine health risk based on a calculation using your height and weight. A BMI of 26 falls in the unhealthy range. If you're concerned about your weight and BMI, talk to your doctor or dietitian about ways to improve your health and weight. Although it doesn't measure your body fat directly, BMI is a reflection of body fat. The more body fat you carry, the greater your health risk. A mathematical formula is used to determine BMI using your weight in pounds and height in inches. To determine your BMI, divide your weight in pounds by your height in inches squared and multiply that number by 703. BMI = [weight / (height x height)] x 703. So, for example, a 5-foot, 2-inch person weighing 145 pounds has a BMI of 26. Weight status categories, including underweight, normal, overweight and obesity, are used to interpret BMI. A BMI below 18.5 is underweight; between 18.5 and 24.9 is normal; 25 to 29.9 is considered overweight; and 30 or greater, obese. A BMI of 26 indicates you are overweight, and, even though 26 is on the lower end of the BMI range for overweight, it can still affect your health. According to the National Institute of Diabetes and Digestive and Kidney Diseases, any excess weight above normal increases risk of heart disease, type 2 diabetes, hypertension, kidney disease and cancer. It also increases your risk of developing sleep apnea and a fatty liver. If you become pregnant with a BMI of 26, you are at a greater risk of developing pregnancy-related complications such as gestational diabetes or preeclampsia, and the higher weight may also affect the health of your baby. If you have a BMI of 26, losing as little as 5 percent of your current weight -- about 7 pounds for a 5-foot, 2-inch, 145-pound person -- can significantly reduce your health risks, according to the Centers for Disease Control and Prevention. To lose fat, you must eat fewer calories than your body needs. For example, trimming 250 calories from your current intake may help you lose 1/2 pound a week. You may be able to cut calories without feeling the effects by making a few changes, such as swapping whole-fat cheese for low-fat cheese, eating carrot sticks with your sandwich instead of a bag of chips, and trading your dessert of ice cream for a bowl of fresh blueberries. Exercise is another way to lose fat weight and improve BMI. According to the National Heart, Lung and Blood Institute, 60 to 90 minutes of moderate- to vigorous-intensity exercise -- such as a brisk walk or a jog -- on most days of the week is necessary to lose weight and maintain it. Two days of strength training, such as lifting weights or yoga, also helps keep your BMI in a healthy range by adding muscle to your frame. Muscle uses more energy to maintain itself than fat tissue, so having more muscle slightly increases your metabolism. In most cases, a BMI of 26 indicates overweight. 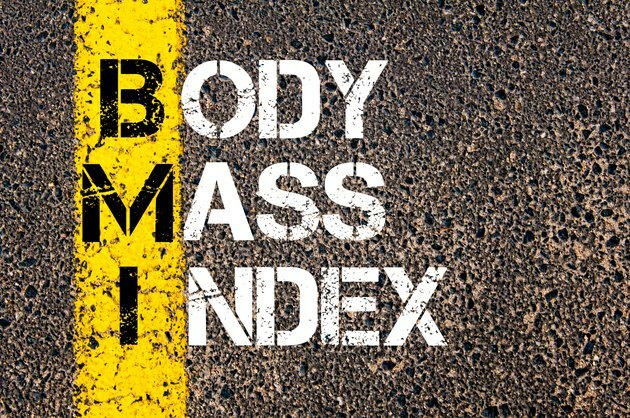 However, bodybuilders and athletes may have a higher BMI due to their bulk, because muscle mass weighs a lot. A bodybuilder or athlete with a BMI of 26 would not be considered overweight, according to the CDC. Talk to your doctor if you're unsure whether your BMI is high because of you have a lot of muscle or extra body fat. National Institute of Diabetes and Digestive and Kidney Disease: Do You Know Some Health Risks of Being Overweight? Is There a Normal Weight for a Height of 5 feet 10 inches? What Are the Benefits of a Low BMI?